Funny thing about annuities. People love them in concept, but they aren’t nearly as enthusiastic when it comes to actually buying them. 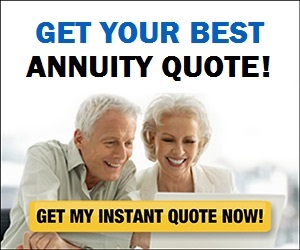 For example, a recent survey by the Insured Retirement Institute and Jackson National Life Insurance Company found that while more than 90% of people 65 and older said they were very or somewhat interested in lifetime income, only one in four planned to buy an annuity, the only investment that can provide guaranteed income for life. That reluctance is understandable. 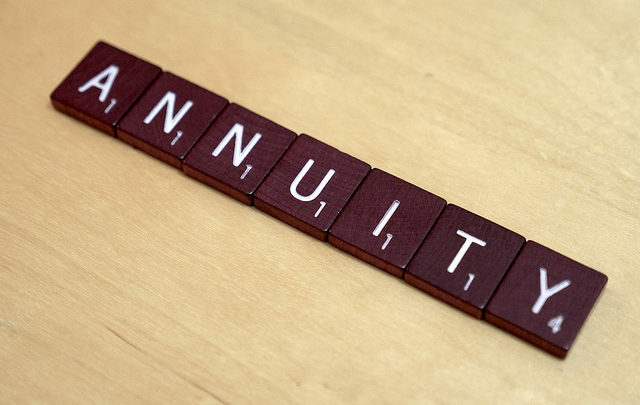 There are plenty of valid reasons to be wary of annuities, as many can be mind-numbingly complex and laden with onerous fees to boot. Still, you can reap the benefits that annuities have to offer while mitigating the downsides by sticking to the most straightforward type of annuity—i.e., an immediate annuity, a vehicle designed specifically to convert savings to monthly income for life. Of course, that still leaves the question of whether it makes sense for you to “annuitize” a portion of your nest egg at all. There’s no single correct answer to that question. But here are three ways to tell whether committing some of your savings to an annuity may be a reasonable choice for you. 1. You want more guaranteed lifetime income than Social Security and any pensions will provide. How much guaranteed income is sufficient is clearly a subjective matter that can vary from person to person. But many people like to have enough assured income to cover all or most of their essential living expenses—housing costs, food, transportation, insurance costs, etc.—and then rely on draws from their savings to pay for nonessentials, unanticipated expenses and splurges. So if after toting up your basic living expenses (which you can do by going to BlackRock’s Retirement Expense Worksheet) you find that necessary expenditures will exceed the income you’ll receive from Social Security and any pensions, you may want to bridge all or part of the gap by investing some of your nest egg in an immediate annuity. You can see what size monthly payment you might receive from an immediate annuity based on your age, gender and the amount you invest by going to the annuity payment calculator in the Annuities section of RealDealRetirement’s Retirement Toolbox. Be aware, though, that the money you invest in an immediate annuity will no longer be available to you; you’ve given up access to those funds in return for a lifetime income stream. So if you do decide to devote a portion of your savings to an annuity, make sure that you’ll still have enough money left over in a diversified mix of cash, stocks and bonds to cover expenses in excess of what your guaranteed income will cover and to provide a hedge against rising prices over the course of a long retirement. Before you buy, you’ll also want to understand how to choose an annuity and make sure it’s compatible with your retirement income plan. 2. You’re worried you might run through your savings if you rely solely on systematic withdrawals. There are plenty of ways to draw money from a nest egg invested in a diversified mix of stocks and bonds that can generate cash to meet your retirement spending needs while limiting the chance that you’ll run out of money before you run out of time. Indeed, MONEY senior writer Elizabeth O’Brien outlined four such strategies last week. But if you’re unsure about your ability to follow such a regimen—or you just prefer to have an extra margin of safety—then you may want to consider putting a portion of your savings into an immediate annuity. By doing so, you’ll ensure that even if subpar investment performance forces you to reduce withdrawals from your nest egg to avoid depleting it too soon, you’ll still be able to count on those annuity payments coming in like clockwork month after month. 3. You feel that more guaranteed income will allow you to better enjoy your post-career life. Even if you’re ambivalent about whether an annuity makes financial sense, there’s another reason you might consider one—namely, an annuity’s guaranteed lifetime income can make for a happier and more satisfying retirement.